Now that I've made vegetable stock, I wondered why I've made it before and why I ever bought it. I mean, I already make chicken, turkey, beef and lamb stock, so how hard could vegetable stock really be? Of course, you want it to have a nice, rich flavor and taste, and this is where the use of fresh or dried herbs comes in. It's delicious and a great substitute in anything you'd normally use chicken stock in. 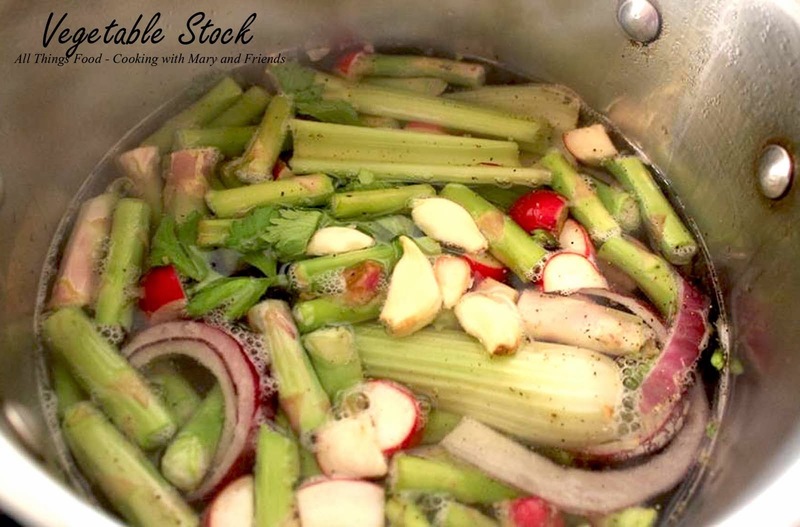 I had some end pieces I'd saved from some fresh asparagus just to use in this stock ... so easy and so good! The following recipe is just a guide; feel free to make it your own and use any vegetables you want. The more you layer in the flavors and aromatics, the better it'll taste. Place all ingredients in a large stock pot and cover with water (at least 2" above vegetables). Bring to a boil, reduce heat, cover and simmer at least 1 hour, or until vegetables are very soft. Taste broth and adjust seasonings as needed; it almost always needs so more. Strain all vegetables and bay leaves from stock and discard. 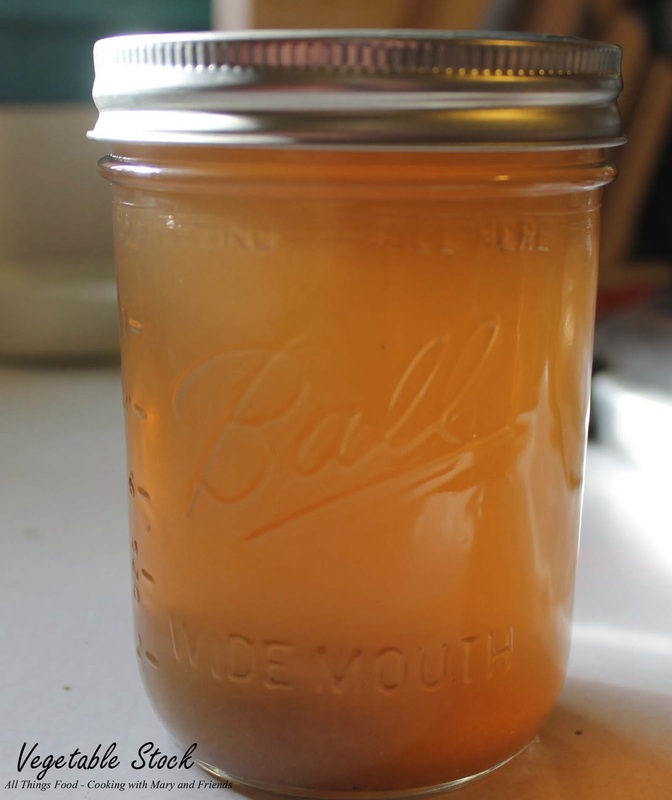 Place strained stock in containers and freeze, or pressure can pint canning jars at 10 lbs. pressure for 30 minutes, quarts for 35 minutes. Once the pressure canner has cooled down, open lid, remove jars and let sit on your counter-top 24 hours. Store in pantry.